I hope you all enjoyed the release last week. If you haven't had a chance to check it out yet, be sure you do. All the new products can be found HERE. I have a couple of cards to share with you today, they both feature mandalas. For my first card I used the gorgeous Magical Mandala Background. 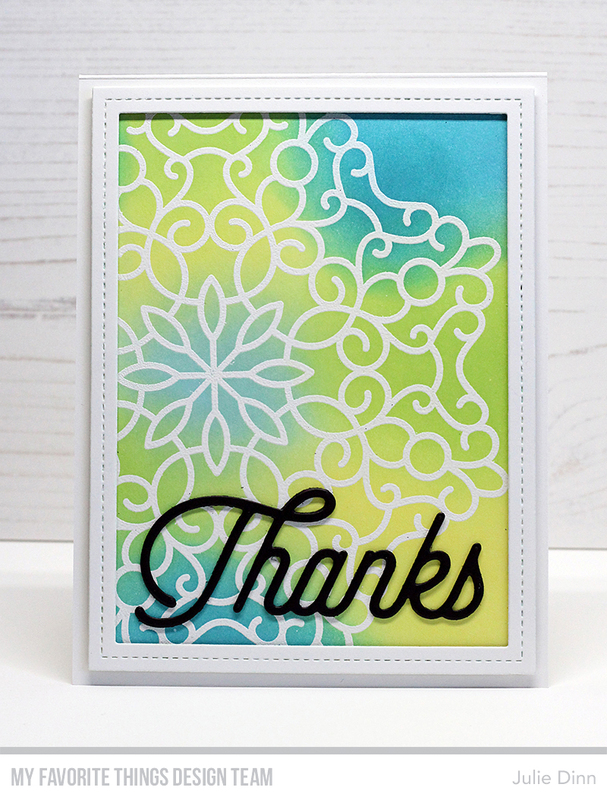 I stamped the background in Versamark Ink and embossed the image with White Embossing Powder. I covered the image with a few of my favorite Distress Inks. The sentiment is from the Twice the Thanks Die-namics. I love that pop of black on the card. 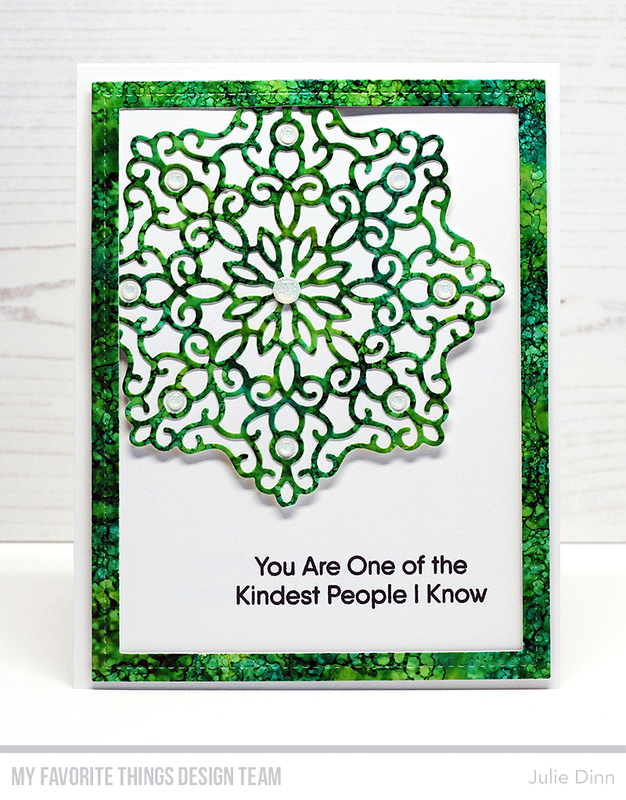 For my second card, I used the Magical Mandala Die-namics. As you can see, this die is much smaller than the background stamp. I love having the two sizes. I die-cut a sheet that I created with some green and yellow Alcohol Inks. I didn't love the way this sheet of alcohol ink tuned out, I prefer dropping the ink, and for this one, I sponged on the ink. I was going to throw the sheet away, but I thought I would try die-cutting it to see if I could salvage it. I actually really like the way it looks on this card.